The authors of the New Testament have often quoted passages from the Old Testament, claiming such statements to be prophecies fulfilled in the person of Jesus Christ. The number of such quoted passages is actually very high. Among the evangelists, Matthew is the one having made this phenomenon characteristic to his Gospel. The prophecy of Immanuel (sometimes romanised as Emmanuel) carries a very important place in Christian theology. Every Christian knows about the prophecies of the books of Psalms, Isaiah, and Daniel related to the childhood, life, mission, and death of Jesus. To every Christian, these prophecies are the clear evidence of the truth of Gospels and mission of Jesus in general. The problem is that according to the Bible, there exists true prophecies as well as false ones. Hence the question arises on the necessary criteria to distinguish a false prophecy from a true one. 2 Has The Immanuel Prophecy Been Fulfilled? 3 Was It “Virgin” Or “Young Woman”? 5 Who Was The Real Immanuel? For a passage to be considered a prophecy, it must have the form of a prophecy. In general, the prophecies have a characteristic introductory part, distinguishing them from any other non-prophetic passage. The most frequent forms are as follows: “And it will come to pass that…”; “And when the promise and will of the Lord comes…”; “It won’t get long and…”. If one quotes as being a prophecy fulfilled centuries later in Jesus the words, “Amon was twenty two years when he began to reign and he kept his throne for two years in Jerusalem…” (2 Kings 21:19), his claim would properly be considered ungrounded, simply because of the fact that the quoted passage does not constitute a prophecy, as its form does not lead us to accept it as such. If any author quotes a passage from the Old Testament and during its citation he changes the text, thereby alienating its original meaning to adapt it to a prearranged aim, we would then be able to affirm that this author is not divinely-inspired and that the passage quoted by him is not a prophecy foretelling the person or the event claimed by the author. Now let us examine whether the above-mentioned criteria have been respected in the issue of the Immanuel prophecy. Has The Immanuel Prophecy Been Fulfilled? In respect of the first criterion, the text applies it completely. Whoever reading the passage of Isaiah 7:14 will agree to be able to see a prophecy in it. But the second criterion has not been respected. As we shall notice in continuation, the evangelist has changed the text of Isaiah 7:14, adapting it to his personal aims. The Hebrew word, used in the passage of Isaiah, is ‘almah, meaning “young woman”, while the Greek translation of the Old Testament, known as Septuagint (LXX), offers the erroneous term parthenos, meaning “virgin”. The evangelist, using the Septuagint in his quoting of Isaiah, translates the Hebrew word almah as “virgin”. Thus, he gains a prophecy on Maria’s giving birth to Jesus while being virgin. In fact, the word “virgin” in the Hebrew language is bethulah and not almah. For this reason, the translation of Septuagint is false. Was It “Virgin” Or “Young Woman”? A large number of Christian and Jewish theologians involved in the study of Semitic languages have affirmed that the exact translation of the text of Isaiah 7:14 is not “virgin”, but “young woman”. To prove this, we shall mention some of their statements. Based on the above-mentioned statements, we can reach the conclusion that Mathew, in his citation of Isaiah 7:14, has not been loyal to the text in Hebrew, but has transformed the latter to suit to his personal intentions. As it can be clearly seen, the correctly translated text does not mention any supernatural birth by a virgin, while the Septuagint text seems to lead exactly to such a conclusion. For this reason, the evangelist prefers to follow the Greek translation, skipping the original Hebrew. But various theologians argue that the Septuagint translators, in spite of this erroneous translation, did not aim to prove the virgin birth of Messiah. Among them, we may mention Raymond Brown, who argues that the Septuagint translators, by the words “the virgin shall be with a child” understood an actually virgin woman that, in completely natural ways, after the male intervention of her legal husband, will give birth to Immanuel. These translators, according to Brown, thought that the sign to be given to Ahaz was not related to a woman already pregnant during the articulation of this prophecy, but to a virgin woman that would give birth to Immanuel in a normal way. 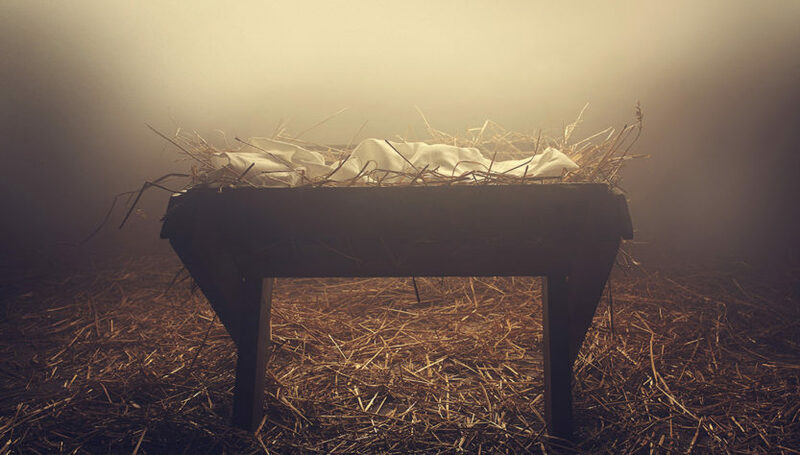 Thus, Immanuel would be her first-born son. Brown continues reasoning that for the Hebrew text (Masoretic MT) and for the Septuagint (LXX) alike, the sign given by Isaiah is not concentrated in the way (how) of Immanuel’s birth, but in the providential timing whereby a child who would be a sign of God’s presence with His people was to be born precisely when that people’s fortunes had reached their nadir. Thus, Matthew has transformed and interpreted arbitrarily the Hebrew and the Greek text alike. This prophecy doesn’t fulfil the third criterion also. Matthew, as we shall see, has extrapolated from its context the passage of Isaiah 7:14 and in a forced and arbitrary way have wished to apply it to Mary and Jesus. Let us now examine the passage in brief. The Aramean King Rezin of Damascus (Syria) and the king Pekah of Izrael (Ephraim: the Northern Kingdom) organized a revolt against the superpower of the time: Assyria. The king Ahaz refused to unite with them and for this reason, they turned against him, invested Jerusalem and tried to dethrone him and bring a vassal in the throne of Judah. To save himself, King Ahaz decided to ask the support of the King Tiglath-Pileser of Assyria. At this point, Isaiah forbade him to do this, because he knew quite well that after the Assyrian king’s routing the enemies of Judah, they would also reduce Judah to vassalage. The king acted this way, but the danger of being routed by his enemies was still great. As we can clearly see, this prophecy has been fulfilled during the life of Ahaz and not centuries later, as Mathew wishes to make us believe, because the given sign aimed to calm the king Ahaz and his people by their fearing of their enemies. After God said to Ahaz to ask for a sign showing that He was with him and his people and after the king’s refusing to provoke God, then God Himself took the initiative and promised to Ahaz the birth of Immanuel. Before this child reached his maturity, the kings terrorising the people of Ahaz would get ruined. And the kings fearing Ahaz were routed many centuries before the birth of Jesus. This means that the prophecy was fulfilled many times before the birth of Jesus.12 Thus, there is no place in this prophecy for Jesus and his revered mother. Another reality clearly demonstrating that the inhabitants of Israel of the time expected this prophecy to be fulfilled soon, during the period of troubles, is related to the fact that many women of that time named their children Immanuel.14 And of course none of them had given birth to her child in a state of virginity and without any male intervention. This may lead to the following question: if the child that would be called Immanuel was not Jesus, then who was he? Who Was The Real Immanuel? On this issue, the Christian theologians have offered various answers. We shall mention some of them here. It was to the wicked King Ahaz (c.a. 735-715 B.C.) that Isaiah spoke of the oracle as mentioned in 7:14. It was intended as a sign to this disbelieving monarch during the Syro-Ephraimite war of 734 and must refer to something that took place during that year or shortly thereafter. The child to be born was not the Messiah, for messianism had not yet developed to the point of expecting a single future king (footnote 9, §3). Scholars are not agreed on the identity of the child, but at most, it may refer to the birth of a Davidic prince who would deliver Judah from its enemies. An ancient Jewish interpretation, known to Justin (Dialogue Lxvii 1) identified the child as Hezekiah, Ahaz’s son and successor, one of the few truly religious monarchs of the House of David. See Bratcher, “Study”, for an accurate summary of the immense literature on this question. ‘Almâ is used only nine times in the Hebrew OT, and two passages demonstrate how poorly it would underline virginity: In Cant 6:8 it refers to a woman of the king’s harem, and in Prov. 30:19 an ‘almâ is an object of a young man’s sexual attention. We have no clear instance in the OT of ‘almâ being applied to a woman already married so that Martin Luther could still win the bet of 100 florins he was willing to make on that point. However, there is a Ugaritic text (Keret 128, II, 21-22) that puts the cognate word ġlmt in poetic parallelism (and thus rough equivalence) with ’att, wife. The closeness of the two languages raises the possibility that in the Hebrew as well, a young wife might be called an ’almâ. Although it does not have the clinical precision of virgo intacta, the Hebrew word betûla is the normal word for a virgin (Ezek. 23:1-8 and Joel 1:8 are debatable). The reference to a betûla giving birth in the “Hymn to Nikkal” (Ugaritic text 77, line 5) is now generally discounted as an incorrect reading, although line 7 still has the interesting: (“Behold, the ‘alma will give birth to a son”). 4. The presence of the definite article, “the young girl”, makes it likely that Isaiah was referring to someone definite whose identity was known to him and to King Ahaz, perhaps someone whom the king had recently married and brought into the harem. The proposal that the ‘almâ was Isaiah’s own wife, “the prophetess” mentioned in 8:3, is most unlikely; for the fact that she had already borne Isaiah a son old enough to walk with him (7:3) makes such a designation for her implausible. 5. From the Hebrew participle construction, it is not possible to know whether Isaiah meant that the ‘almâ was already pregnant or would become pregnant. The birth, however, was almost certainly future; yet even in that judgment, we are hampered by the temporal vagueness of the Hebrew conjugations. We can state with certainty that the text of Isaiah does not contain any prophecy of a virgin birth to be fulfilled centuries later. Matthew, taking arbitrarily and in a forced way the passage of Isaiah out of its true context, has misused it trying to gain a prophecy on Mary’s giving miraculously birth to Jesus. Our analysis is aimed at showing the dishonest methods used by the evangelist and we believe that we have reached our goal. The author is the director of “Erasmus”, Centre for Studies on Comparative Religion, Albania. simple question were in the life of Jesus was his follows or the Disciples call him by the name Emmanuel not even once in his lifetime. so if the prophecy was about him then what about the prophecy made that hes shall be call Jesus Christ when the angle visited her mother Mary. every prophecy must be fulfilled so as he was on the earth no one ever call him Emmanuel. Common sense. Oh, sorry, I am an idiot. Adding comments doesn’t work. You are a bunch of deceivers! There is a lot of work put into the article, but I’ve stopped on the 2nd criterium and made a conclusion that the article is a piece of dung. Why? The citation is almost exactly the same. It contains the full meaning of the original text. …known as Septuagint (LXX), offers the erroneous term parthenos, meaning “virgin”. meaning of “virgin” for matthew but partheonos does not have strong canotation for “virginity”. Christian Greek translations of the Jewish Bible use “parthenos” for Dinah after she was raped. A. maiden, girl, Il.22.127, etc. ; hai athliai p. emai my unhappy girls, S.OT1462, cf. Ar.Eq.1302 ; also gunê parthenos Hes. Th.514 ; p. kora, of the Sphinx, dub. in E.Ph.1730 (lyr. ); thugatêr p. X.Cyr.4.6.9 ; of Persephone, E. Hel.1342 (lyr. ), cf. S.Fr.804; virgin, opp. gunê, Id.Tr.148, Theoc.27.65. 2. of unmarried women who are not virgins, Il.2.514, Pi.P.3.34, S.Tr.1219, Ar.Nu.530. 3. Parthenos, hê, the Virgin Goddess, as a title of Athena at Athens, Paus.5.11.10, 10.34.8 (hence of an Att. coin bearing her head, E.Fr.675); of Artemis, E.Hipp.17 ; of the Tauric Iphigenia, Hdt.4.103 ; of an unnamed goddess, SIG46.3 (Halic., v B.C. ), IG12.108.48,54 (Neapolis in Thrace); hai hierai p., of the Vestal Virgins, D.H.1.69, Plu.2.89e, etc. ; hai Hestiades p. Id.Cic.19; simply, hai p. D.H.2.66. 4. the constellation Virgo, Eudox. ap. Hipparch. 1.2.5, Arat.97, etc. 5. = korê 111, pupil, X.ap.Longin.4.4, Aret. SD1.7. II. as Adj., maiden, chaste, parthenon psuchên echôn E.Hipp. 1006 , cf. Porph. Marc.33 ; mitrê p. Epigr.Gr.319 : metaph., p. pêgê A.Pers.613 . III. as masc., parthenos, ho, unmarried man, Apoc.14.4.